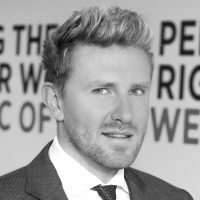 Robby Vanuxem is managing director of recruiting specialist Hays Belgium. He has been with Hays for 15 years and started out as a consultant. Yhden vapaus on toisen epävarmuus työmarkkinoilla, joilla tietyt taidot ovat haluttuja ja toiset käymässä tarpeettomiksi. Flexibility: one person’s freedom and another’s insecurity. Dutch GroenLinks MEP Bas Eickhout and recruitment expert Robby Vanuxem discuss contemporary changes and challenges in the world of work.